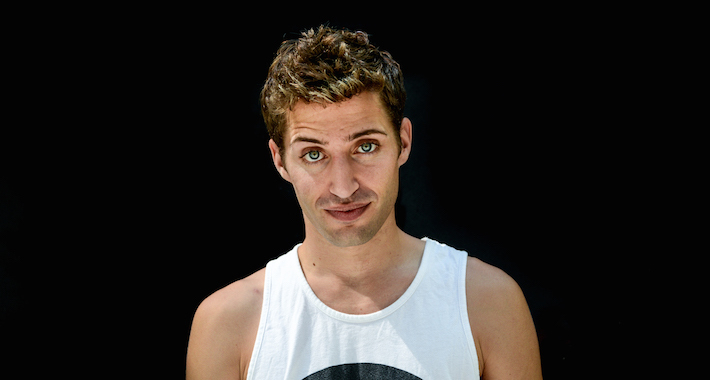 Hayden Kramer, better known as Herobust, stepped into the bass limelight with bits like “Sheknowshebad” and “Skurt Reynolds,” while his rise to the status of Trap Caesar has been due to colossal releases like his Im Loud and Vertebreaker EPs. Recent releases such as “Debt N’ Eight” and “Blockbuster” show that Herobust can’t be constrained to any particular genre in EDM and will continue to use his power of the bass to make the ground shake. The Atlanta-native producer recently collaborated with Monxx on “Giant Squiddim,” vamping up his original tune, giving an even heavier beat with this VIP. The track features eerie and wub-filled beats mixed with Monxx’s captivating and powerful drop. Not only do the producers show off their incredible sound design techniques that will reach the depth of your soul, but will leave you breaking the rail in any form or fashion. We were lucky enough to catch up with Herobust to dig deeper into his latest VIP release and his ongoing passion for bass music. I started like most kids start music, with piano and guitar or whatever. I was probably about ten years old. My dad always played keys; there were always instruments around the house and I’d mess around with them. But once I found out what production was that’s when I knew that’s what I really wanted to do. When I told my mom that I wanted to quit playing guitar, she asked what I wanted to play because up until that point every time I quit, I’d pick up a new instrument. I played her Prodigy’s “Firestarter” and I told her, “I don’t know what instrument this, is but I wanna play this!” And of course she was clueless and responded with, “I don’t know what to tell you… little 11-year-old.” I didn’t even find out for years later that that’s what production was. At the time, I lived in Atlanta where rap music is everything, so I was mainly making rap beats. I did that for a long time and it was super fun so that’s where my roots are, with hip-hop production. Who are some of your biggest influences, someone that you look up to as a producer/DJ? As far as electronic music goes, early on I was really inspired by artists like Squarepusher and Aphex Twin, but later on after dubstep happened to America, then trap happened to America—not trap rap but “EDM” trap, and for anybody living in Atlanta when that trend popped off—it was like mother’s milk. Nobody did that stuff better than us because we invented it. So it was convenient that the trend sort of came to us, and that’s why so many Atlanta producers popped off at that time. How would you say your music has evolved over the past few years from releasing tracks like “Peanut Blubber” and “Triceratopless” to “Vertebreaker” and “Blockbuster”? I would say that my music tends to be influenced heavily by what I’m listening to at the time. That isn’t always limited to music, though. I remember when I was living in NYC, I was constantly being inspired by the sounds I would hear out in the street. But I also am inspired by what the people around me are making, and I think that can account for the stylistic evolution of my music from my early tracks to now. You just released a new track, can you tell us more about it and what fans can expect? It’s my VIP of “Giant Squiddim!” Monxx and I collaboratively made the original, and we both wanted to do a VIP of it, so we both created our own take of the track! Mine reimagines the drop as something even heavier, grimier, and deeper than the original track had. I wanted to make that bass go even deeper, so I think you can expect some heavy headbanging from listening to it. Any other exciting collabs coming up? I have a few that I’m hoping [will] work out, but I don’t wanna be speaking too much on it. If they happen, then I think that the community will be very excited about them. You recently came off your Vertebreaker Tour. For someone who hasn’t seen you live, what can they expect from a Herobust set? The set is all about vibe, man. I can honestly say that I don’t know anyone that has as much fun as I do on stage. It’s just so contagious. I just love the back and forth between me and the audience. I love to get people moving, headbanging, and vibing to the bass! To wrap it up, tell us five things we don’t know about you. One, I was going to go to med school, so call me Dr. Bust. Two, someone once tossed a prosthetic at me while I was playing. Three, the gym and basketball are pretty much the only thing I do other than music. Four, I want to have my dog be a feature on a track. I’m working on how right now. And last, I don’t use Serum, so I can’t do any preset packs.